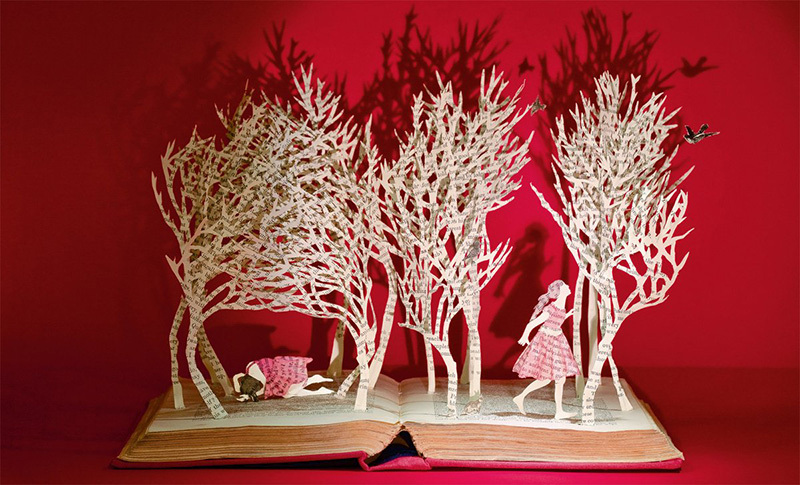 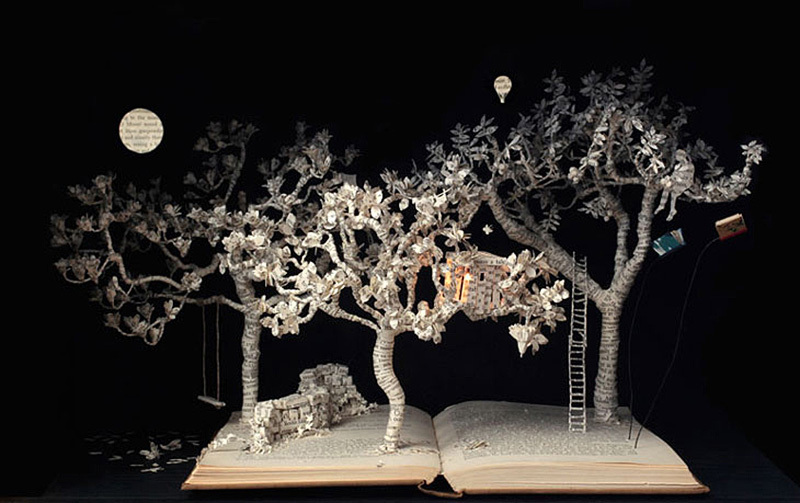 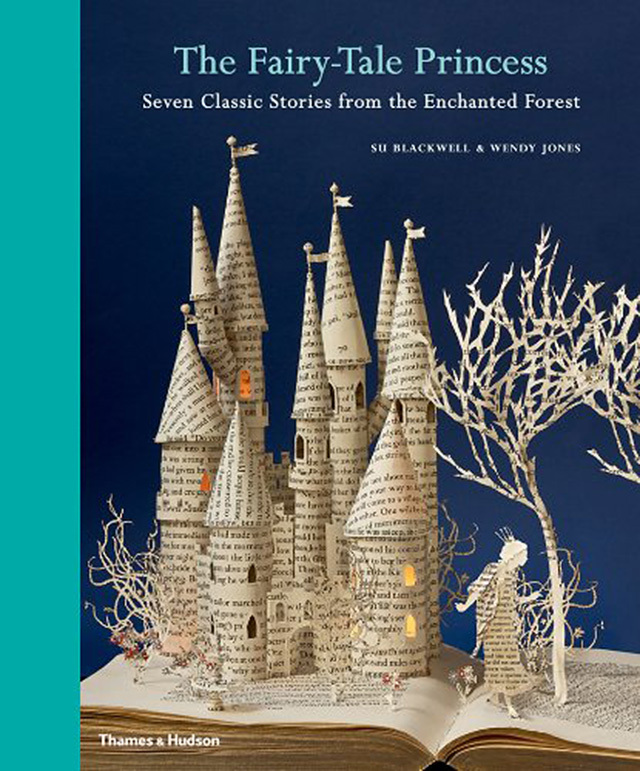 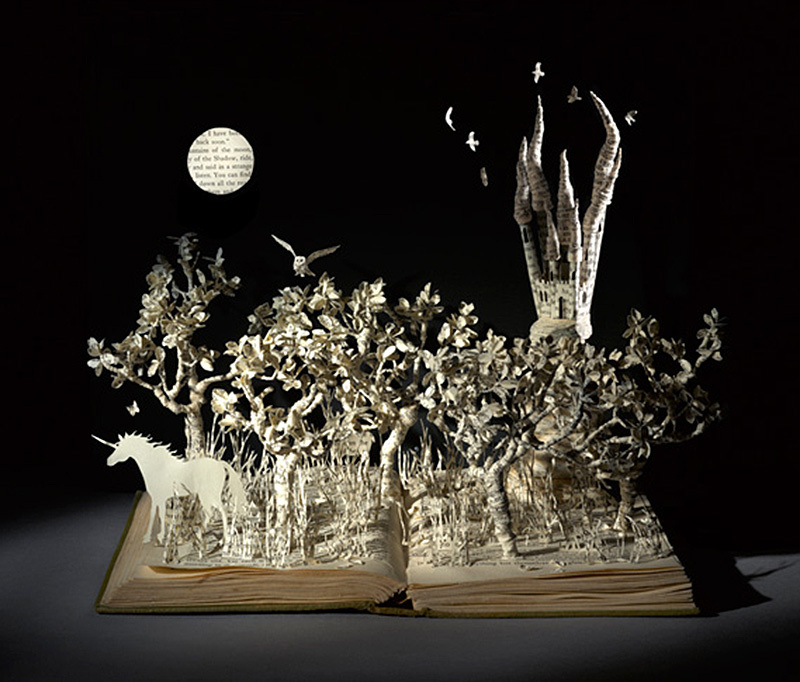 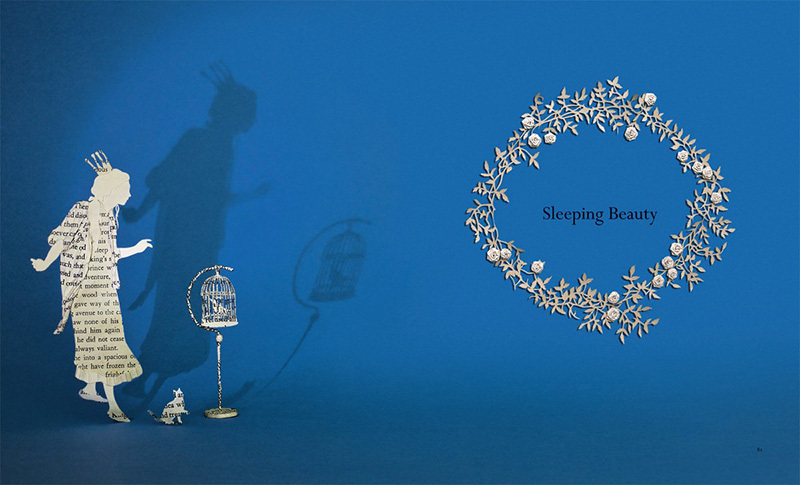 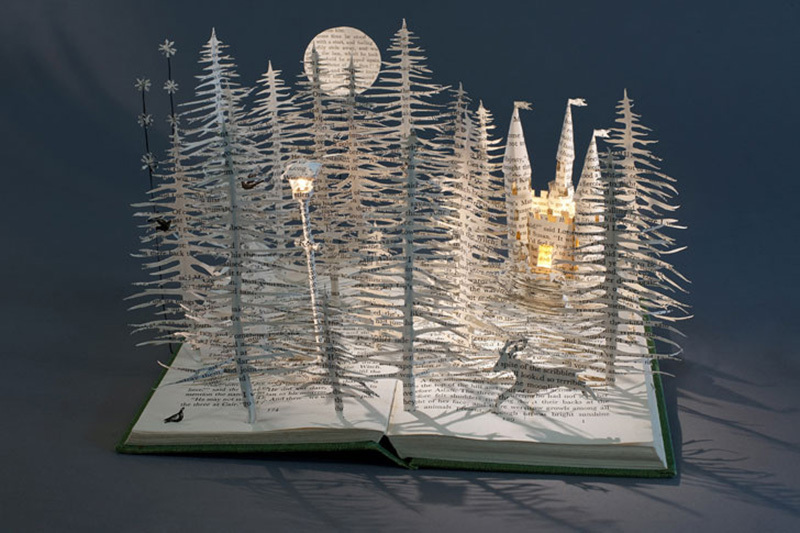 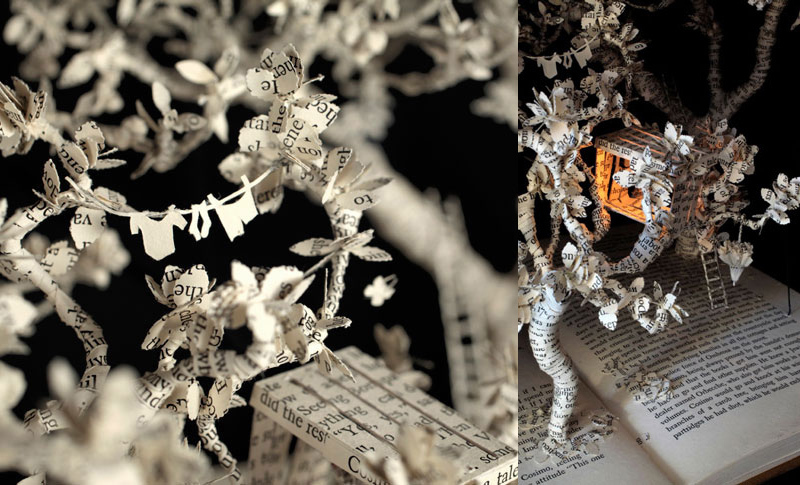 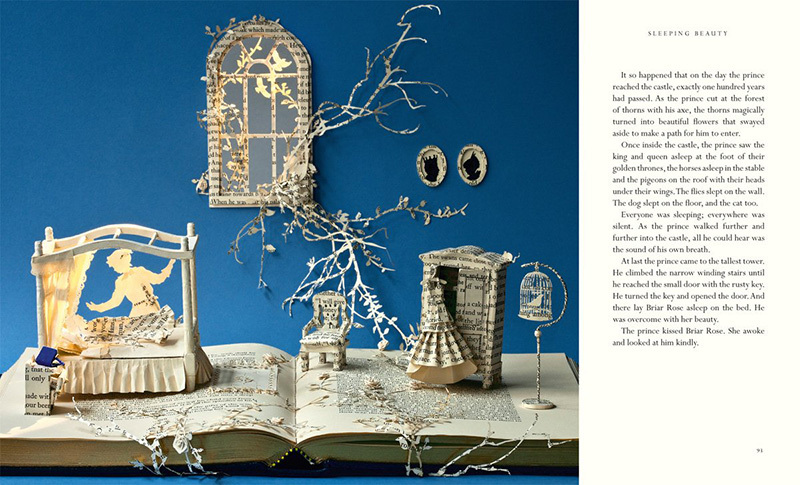 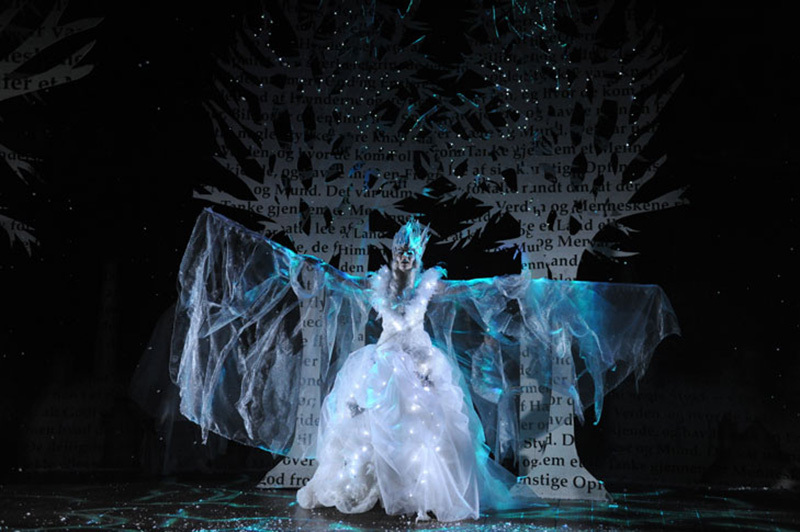 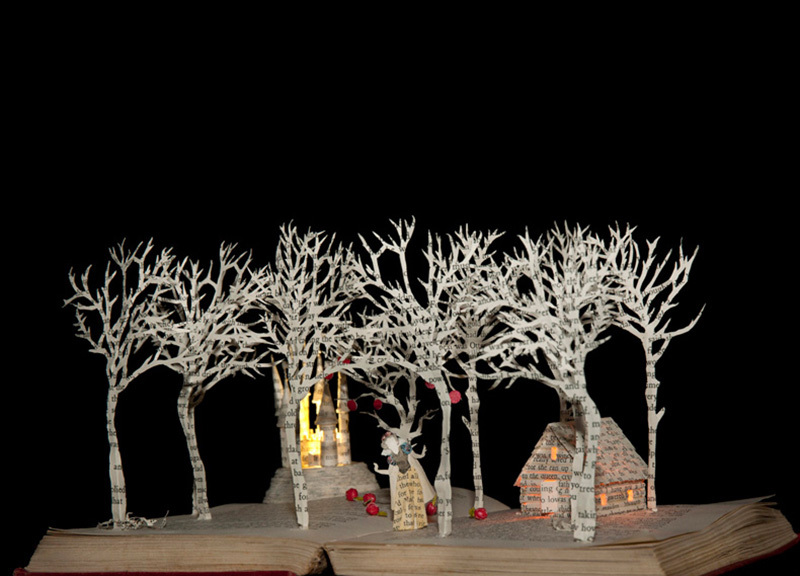 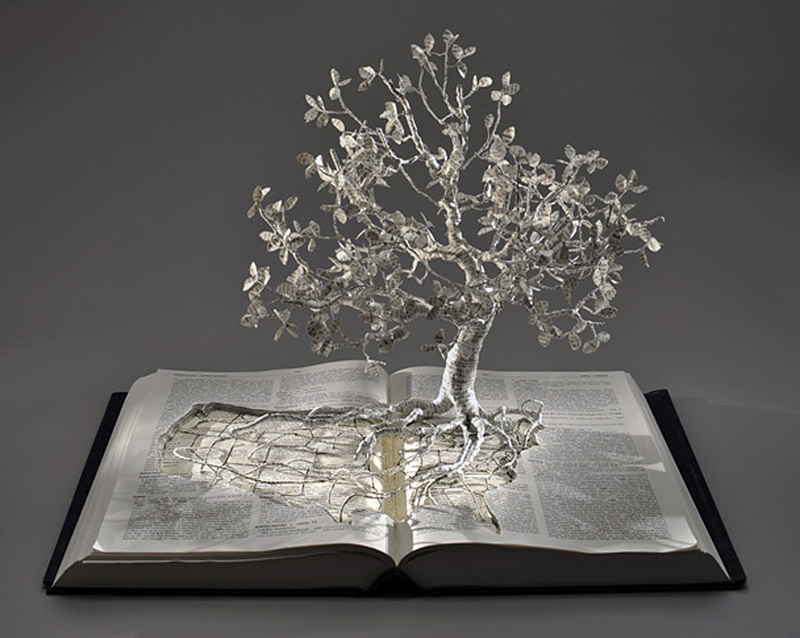 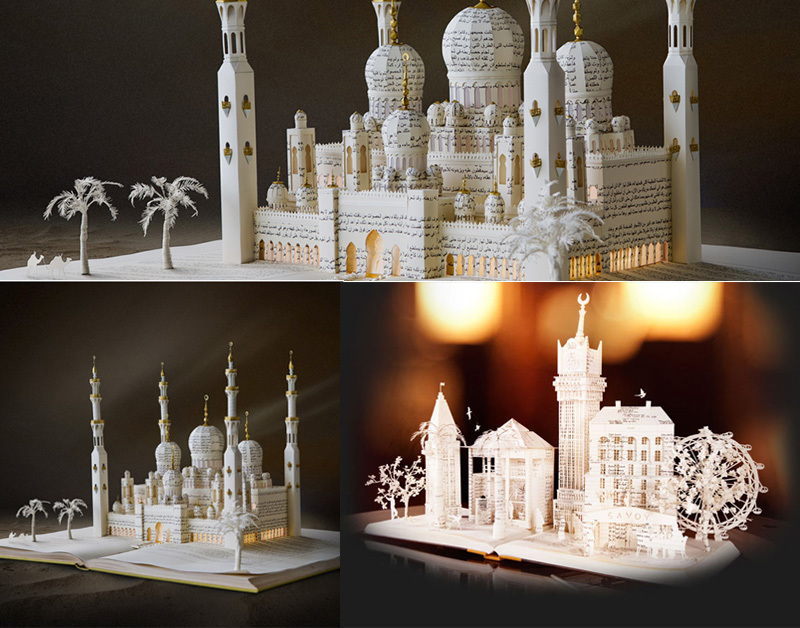 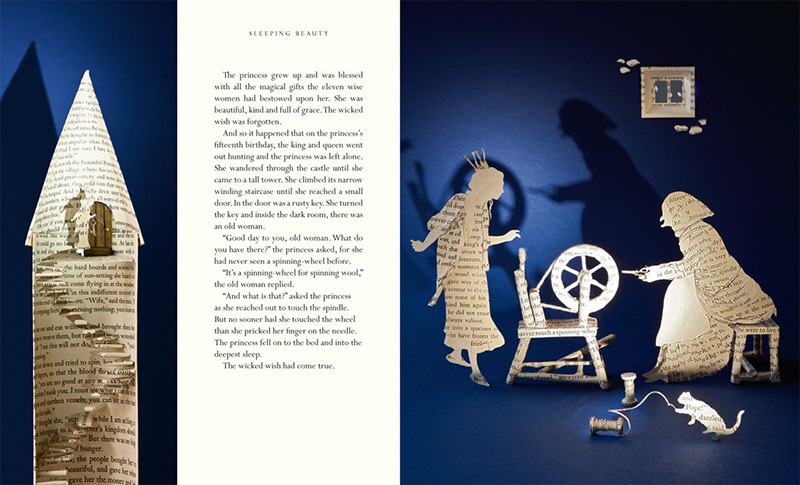 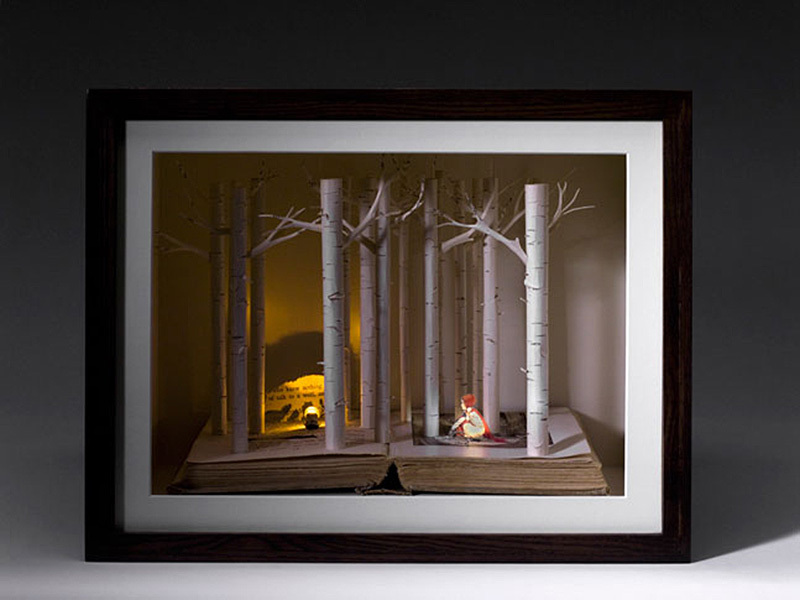 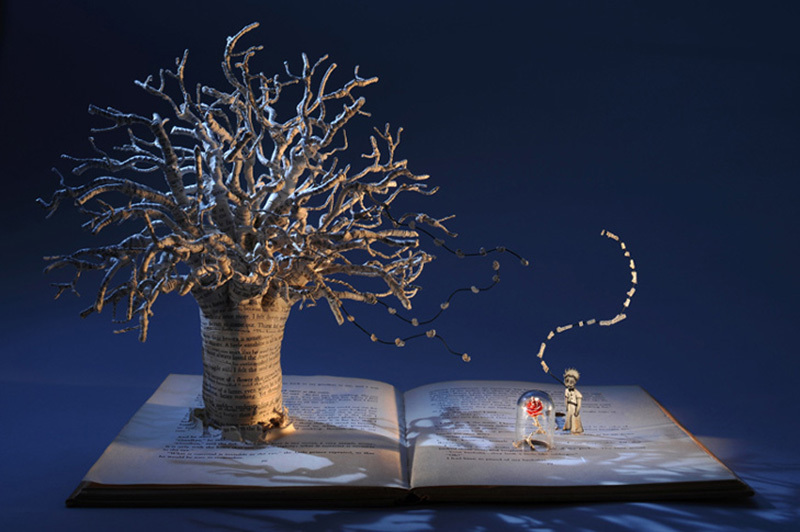 The enchanting book sculptures by Su Blackwell have been featured commercially and in fine art galleries around the world. 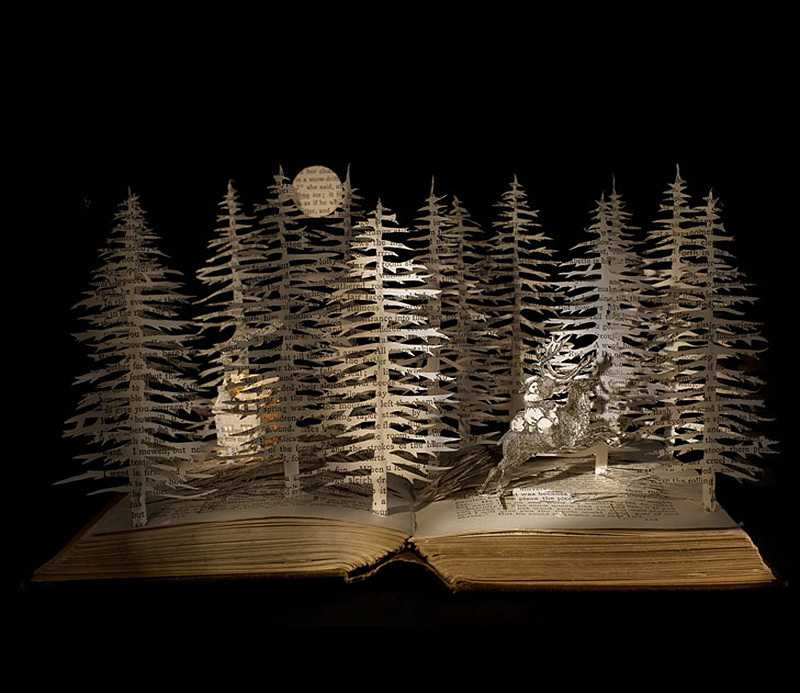 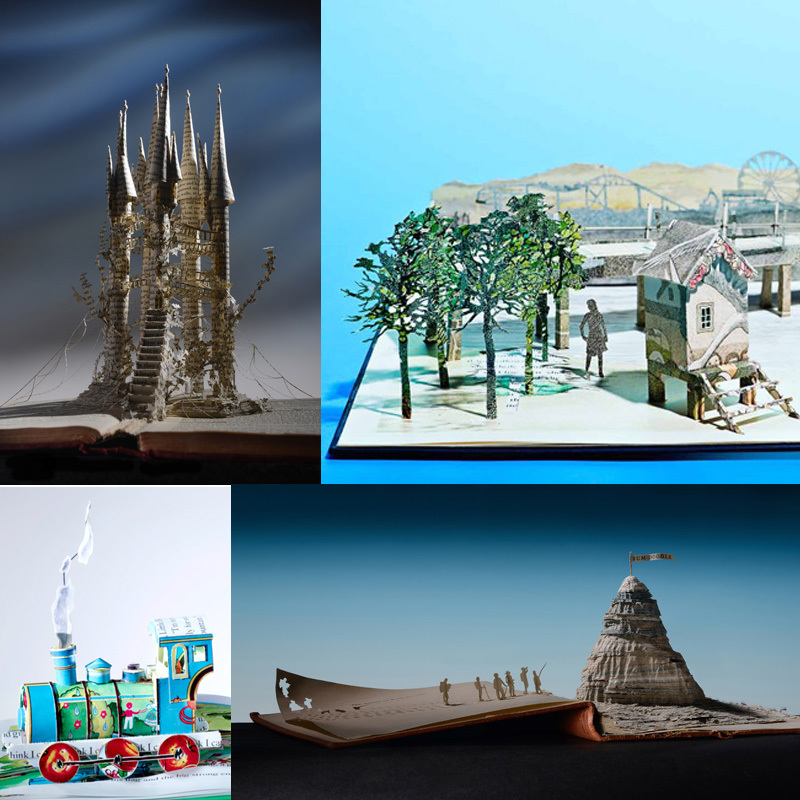 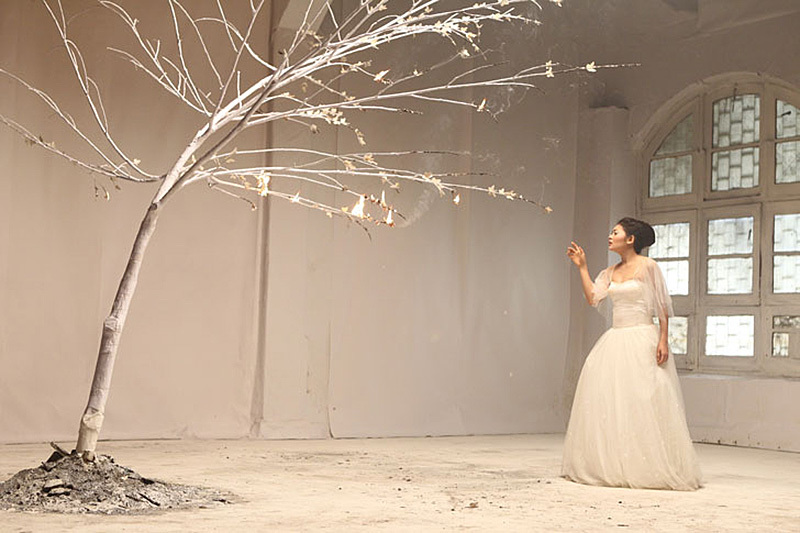 Created on various scales, her amazing craft has been used as full sized sets for videos, theater productions and television commercials, window displays and editorials as well as compelling small boxed sculptures, installations and fine art exhibitions. 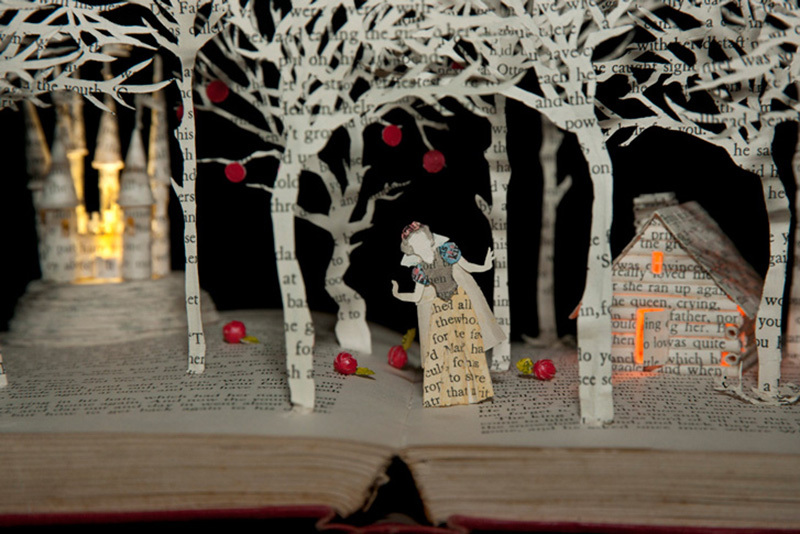 While many art sites and blogs showcased her talents, it's been awhile and she has some new work worth sharing. 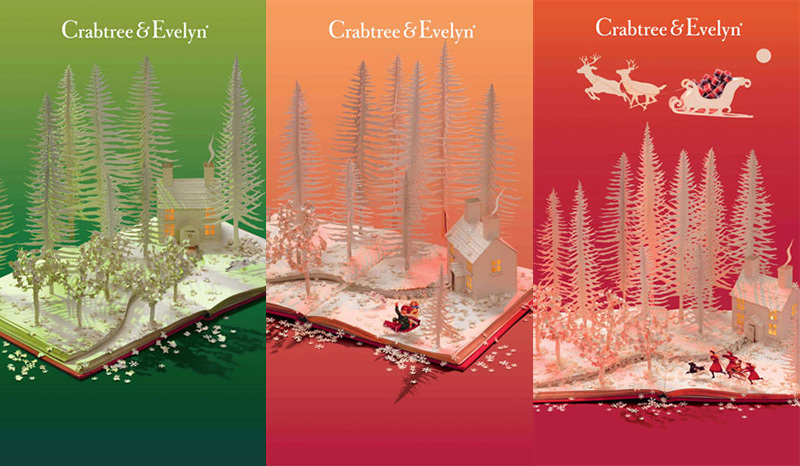 Here's a look at some of her latest (2012-2013). 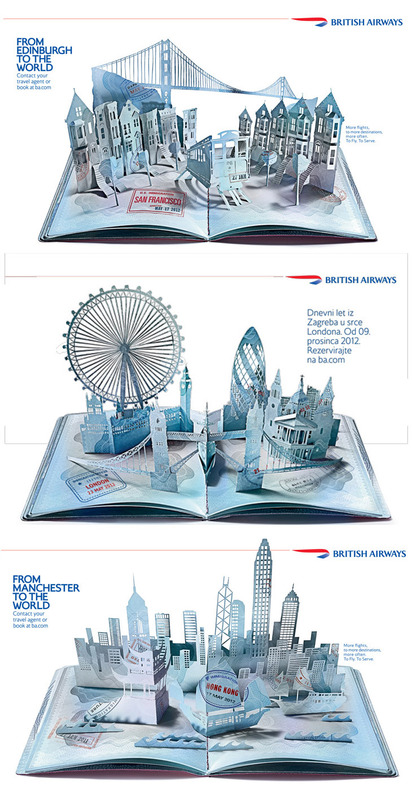 Su Blackwell's work is often used in advertising and marketing because it's a nice and unique way to conveyy people and places that is different from photography. 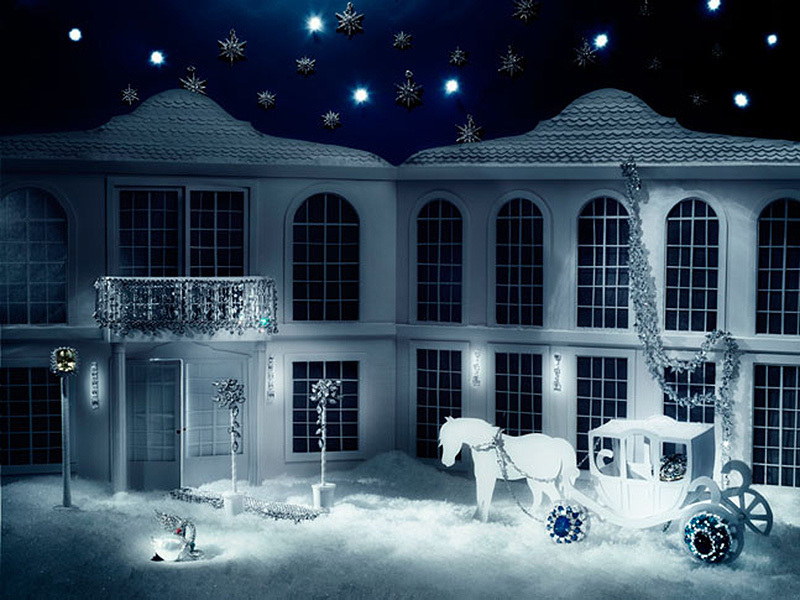 Many large brands (Cartier, Volvo, British Airways, to name a few) have featured her work in their stores, commercials and print ad campaigns. 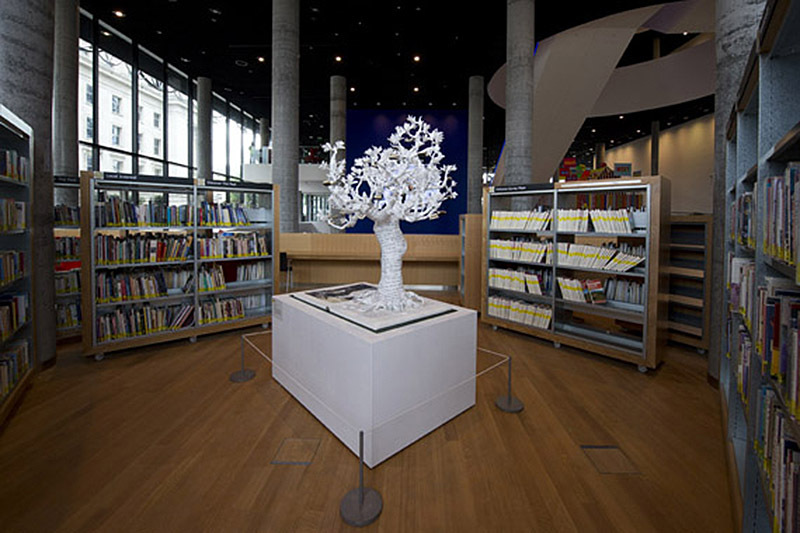 above: Su Blackwell 'Book Sculptures', Case-bound, hard-back with 84 full-colour pages. 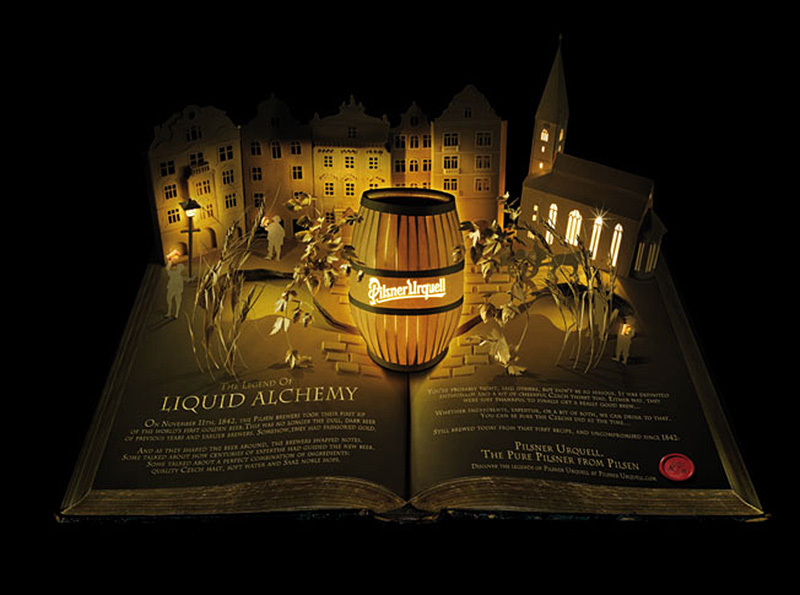 Measures 297mm x 210mm. 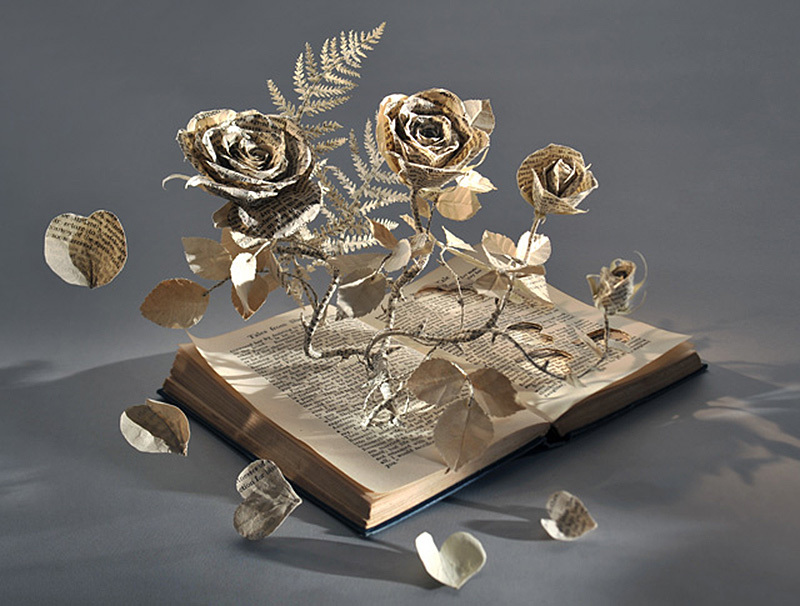 Her online shop features laser cut greeting cards, signed monographs, prints of her work, journals and more. 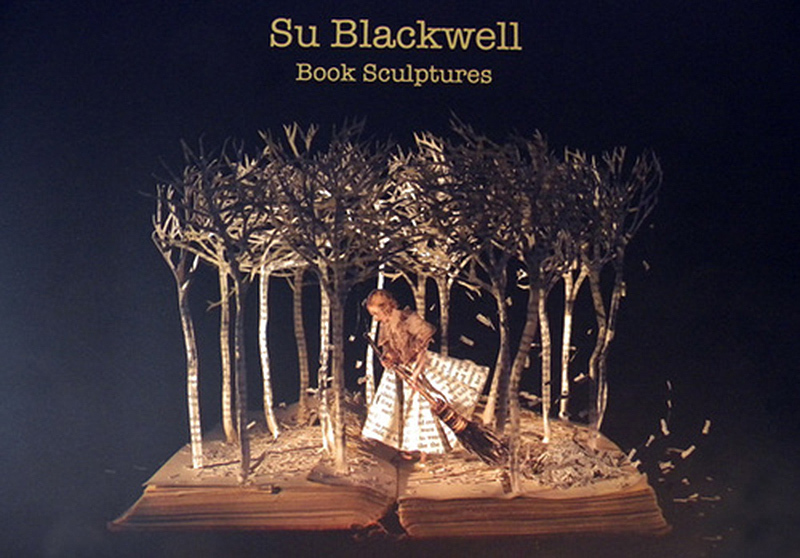 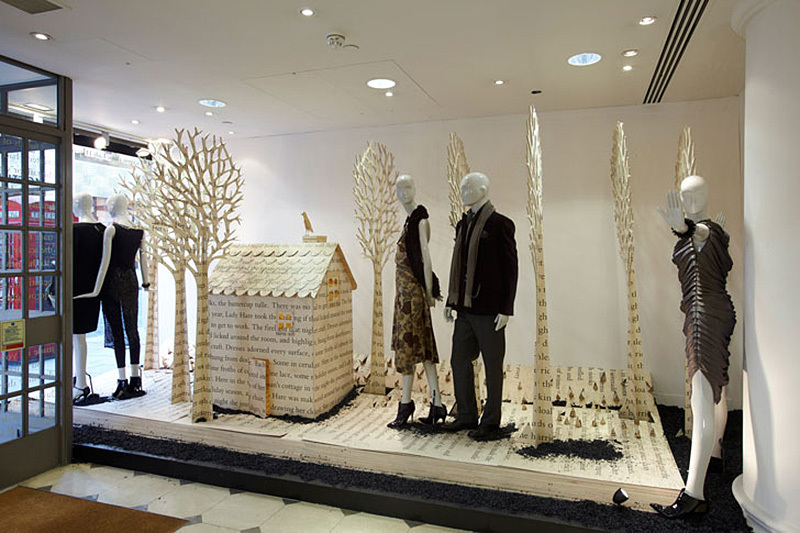 Su Blackwell Studio Ltd. was set up in 2011 to work on a variety of projects, commissions and collaborations. 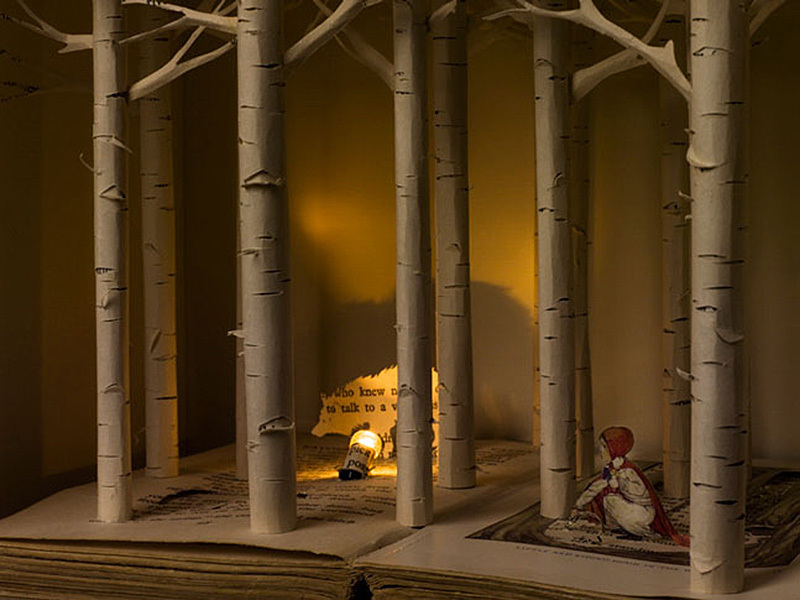 The studio comprises of Su (director) and her assistants, ‘Emma and Freya’. 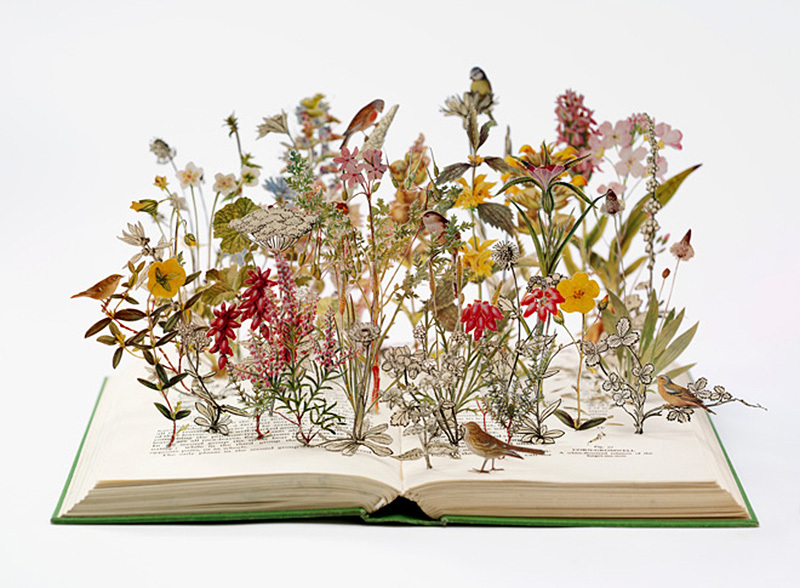 Su is represented by Long and Ryle Gallery, London.